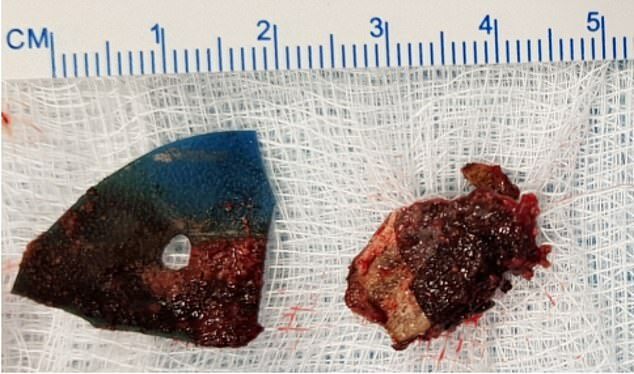 A teenage girl had a 'foul-smelling' nasal stone removed from inside her nose that had been slowly growing for a decade. 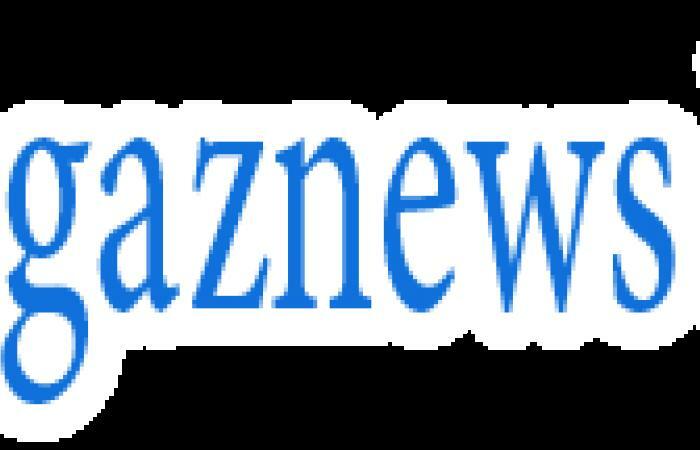 Doctors revealed the girl, who has not been named, had been suffering from nasal discharge and bleeding for many years. After X-rays and CT scans, it was eventually discovered that there was a strange webbed shape within her sinuses. Inside her nose doctors found what is medically called a rhinolith, which slowly develops when deposits build up over a foreign object. In the 15-year-old's case, a piece of mucus-covered rubber around 2cm-long was retrieved. It had most likely got stuck in her nose as a child, the doctors in the United Arab Emirates said. However, the girl didn't have any recollection of putting it there. 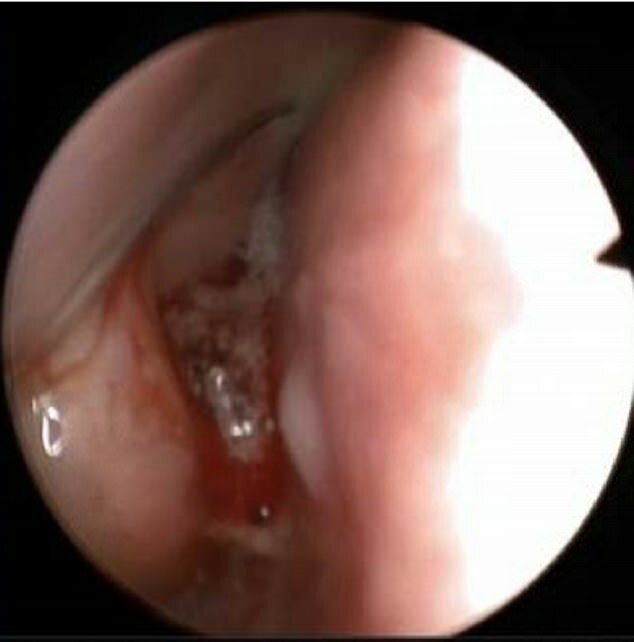 Rhinoliths are rare, accounting for one in 10,000 patients who are treated at an ear, nose and throat unit, figures suggest.